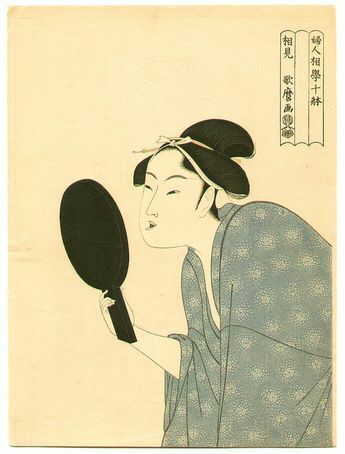 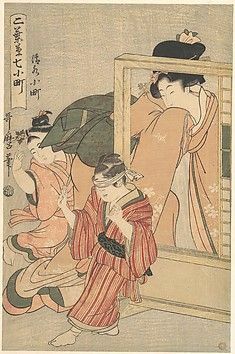 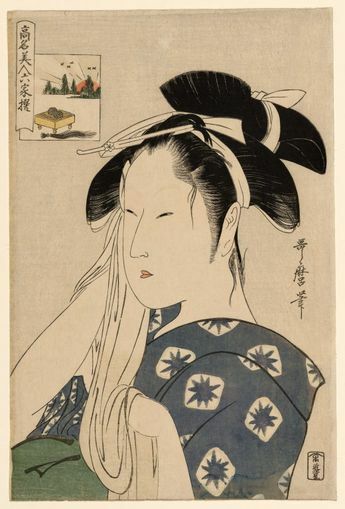 The Asahiya Widow, from the series “Renowned Beauties Likened to the Six Immortal Poets" ("Komei bijin rokkasen"
Beauty and Hand Mirror. 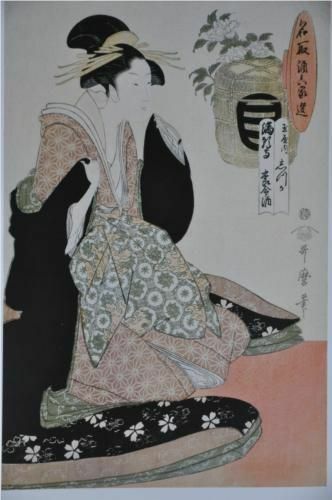 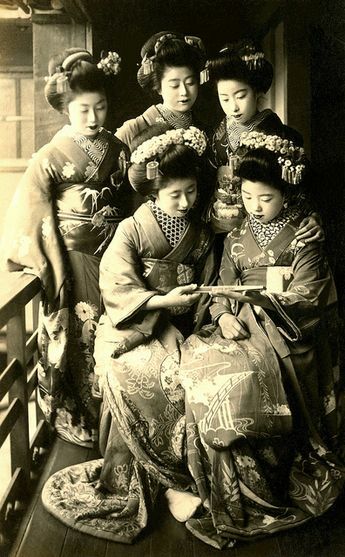 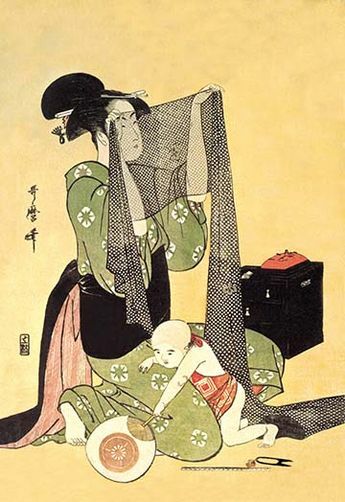 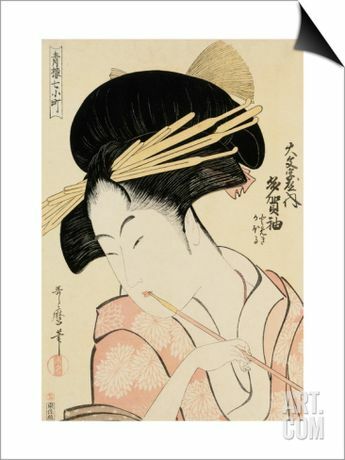 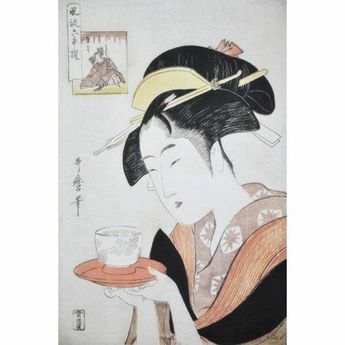 This is a hand-made reproduction from recarved blocks after old designs by Utamaro. 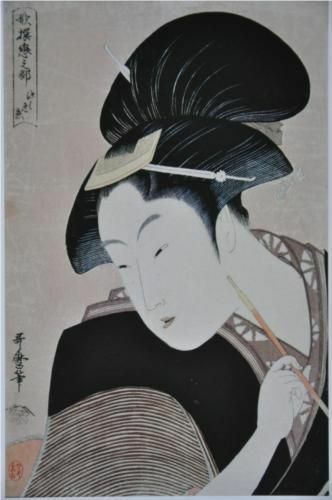 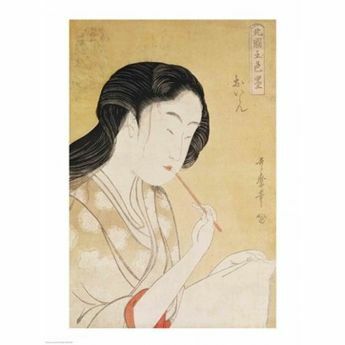 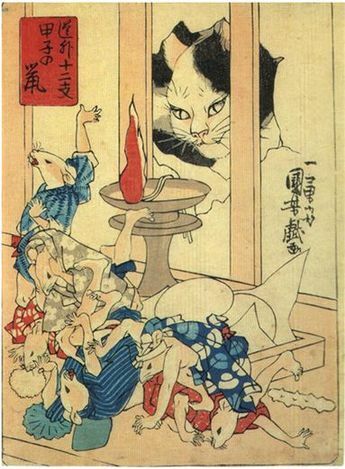 Please see the board of original Utamaro prints and you will understand how to recognize a reproduction from an original. 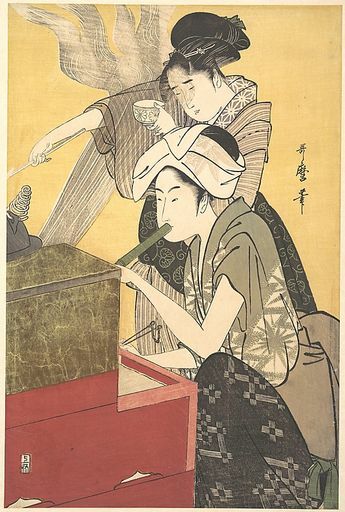 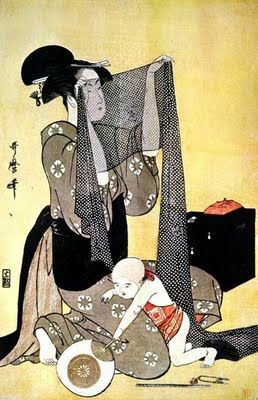 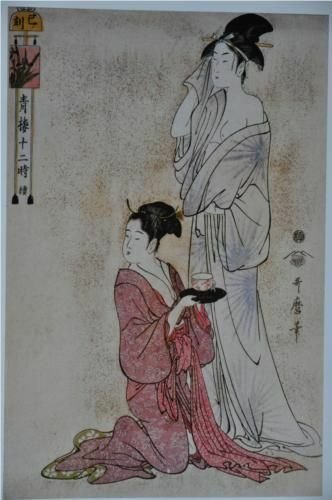 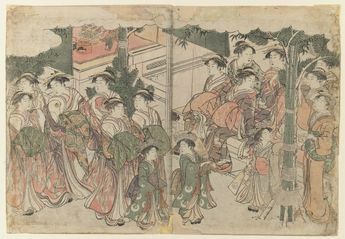 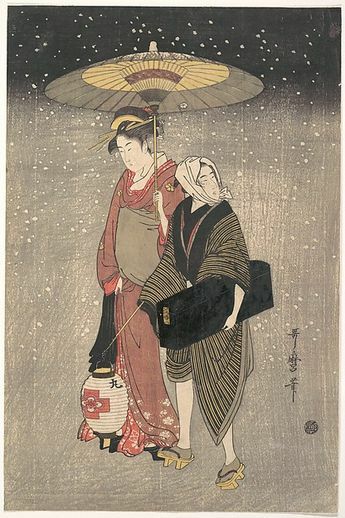 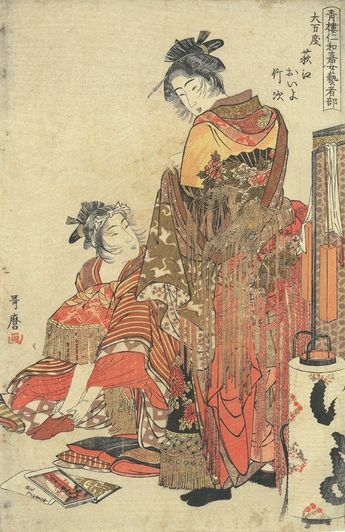 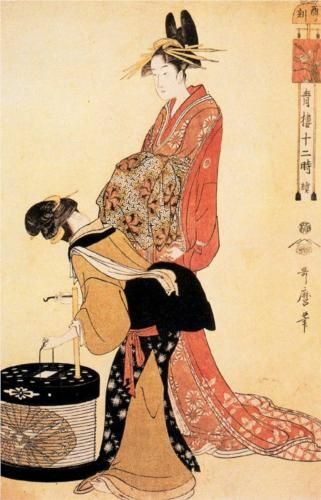 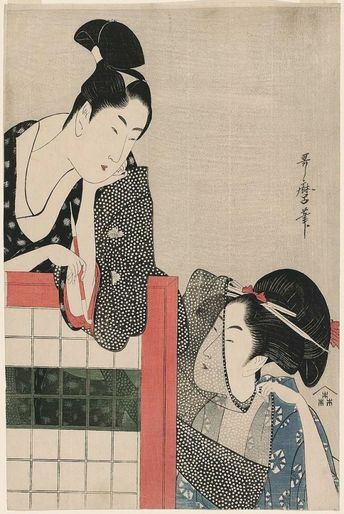 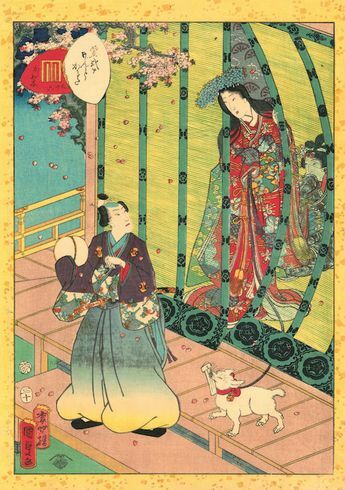 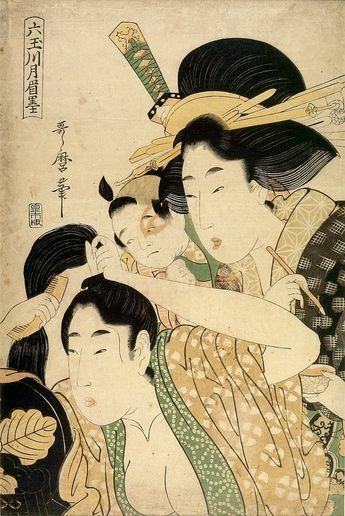 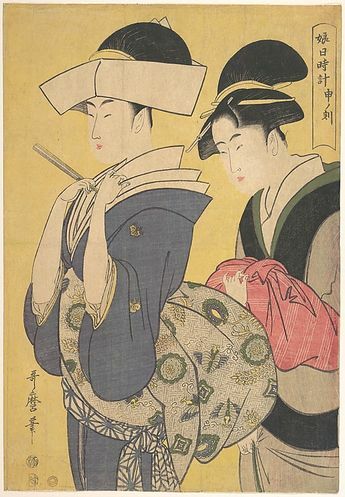 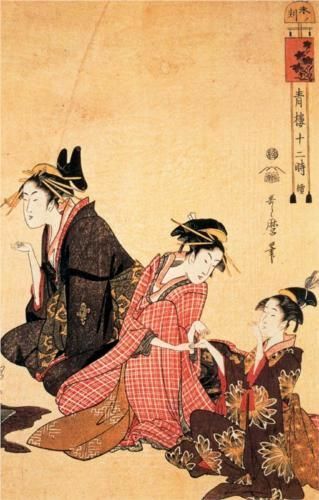 Two women preparing for the Yoshiwara Niwaka Festival in Kitagawa Utamaro's woodblock print, “Oomando Ogie Oiyo Takeji,” part of a series on Seirou-niwaka geisha. 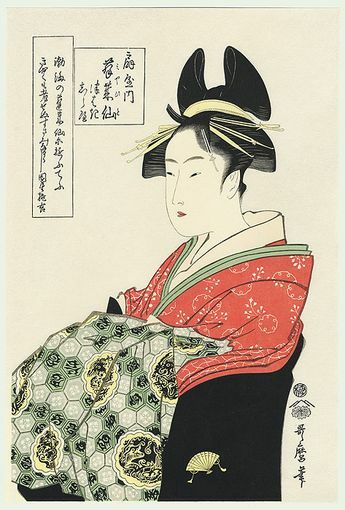 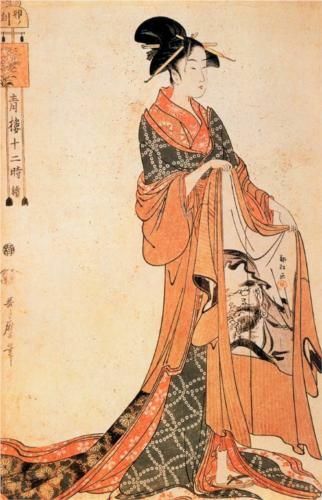 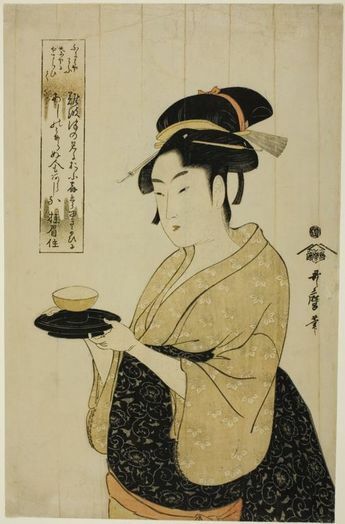 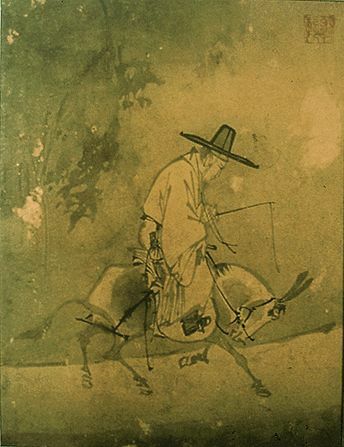 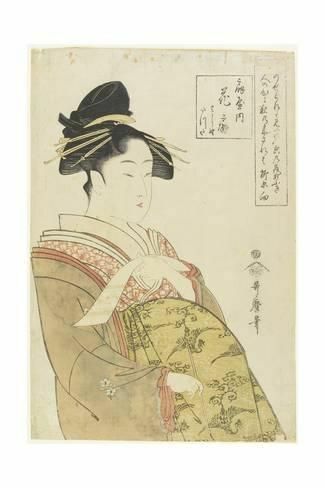 Utamaro Kitagawa, maître du portrait de femme.